A friend just sent me a link to a news item. It says we need to start looking for a new home (another habitable planet) now, and if we don't find one, we risk becoming extinct. Back in 1976 (I'm showing my age) I took part in a school debate, one open to parents. At the time there was a lot of fuss over space programs and people starving to death in Africa, and where to put the money. I led the 'space' camp, my buddy Mike leading the 'domestic' front. The school was Catholic, run by priests, so you might say traditional conservative mores dominated the audience. But at the end of the debate, I made an impassioned plea for continued space exploration, arguing that one more nuclear war would finish us, and that we might trash the world even without one, so we needed to have a Plan B. My side won by a small margin, and Mike and I remained friends. Since then I've been dismayed by our slow descent into wrecking our environment, with no controls over capitalist expansion and general 'short term thinking'. So I wrote a book about what is likely to happen in the next fifty years, and called it The Eden Paradox, not only because it makes sense in the story, but also because I sometimes think we're kissing Eden goodbye when it's right under our feet. You probably know the one about how to boil a frog, right? You raise the water slowly, and the frog doesn't leap out, and by the time it realizes it's in trouble, it's too exhausted to get out of the pot. Well, in my day job I work in the risk area, and there's a new term, it's called 'riskscape'. It's like a landscape, but it is a risk contour, height determining your risk. Imagine a gentle slope downwards, that ends up in a funnel, with no escape. Same thing as the frog. Right now nobody is going to win an election by promising more space travel, or better satellites to find a habitable planet in the 'Goldilocks zone' (i.e. 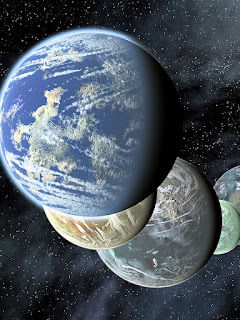 a planet not too big or small, with oxygen and water, and not too hot or too cold). But maybe afterwards, someone somewhere should have the vision to set up a long term program to do just that. Imagine if we found one. What impact would it have? It would be hope, right? It would make people look up from their desks and their smart phones (some of which could find the planet in the night sky, with the right 'app') and gaze up at the stars, and wonder. It might make some politicians more inclined to work together (though perhaps I'm being naive). Hopefully we'll find one, and then work out a way to get there. Before our cooking pot gets too hot. 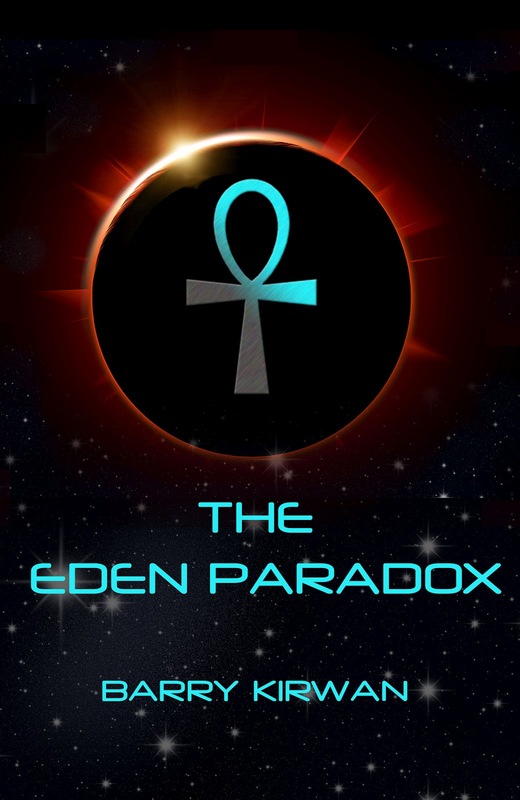 The Eden Paradox is available in ebook and paperback on Amazon, Barnes & Noble, Ampichellis and Waterstones.